Steamboats commenced cruising the River Thames and its estuary from around 1815. Before the advent of railway connections to London they held a near monopoly of passenger traffic. With its shallow sands Southend was in danger of missing out in favour of Margate. 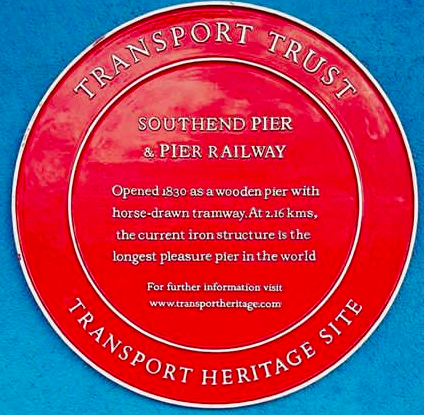 Southend's first pier was planned in 1828 and a 600 foot wooden section opened in 1830, but this was too short for the steamers to call at all states of the tide. The length had increased to one and a quarter miles by 1846, making it the longest pier in Europe. A baggage line was adapted for passenger use. Wear and tear took its toll on the wooden structure and in August 1885, a replacement iron pier was planned and work began in 1888 to the design of James Brunlees. The pier opened on 24th August 1890. £10,000 of the £80,000 cost was spent on the new electric railway. By this time this was very much a pleasure pier for promenaders as well as steamer passengers. An extension opened in 1898 making it the longest pier in the world at 7080 feet. On July 25th 1908, the upper-deck of the pier extension opened, followed by the doubling of the rail track to allow four trains to operate,and the Prince George steamer extension in 1929. During World War II, the pier was used by the Navy. Huge popularity followed the War with the electric train carrying 4,713,082 passengers in its first season (1949/50) and an additional one million people passing through the turnstiles. However, falling trade in the fifties and sixties as the popularity of foreign holidays increased led to a financial survey in 1970 and the pier’s entertainments were franchised. In July 1976, a fire badly damaged the pier-head with repair costs estimated at £1.4 million. 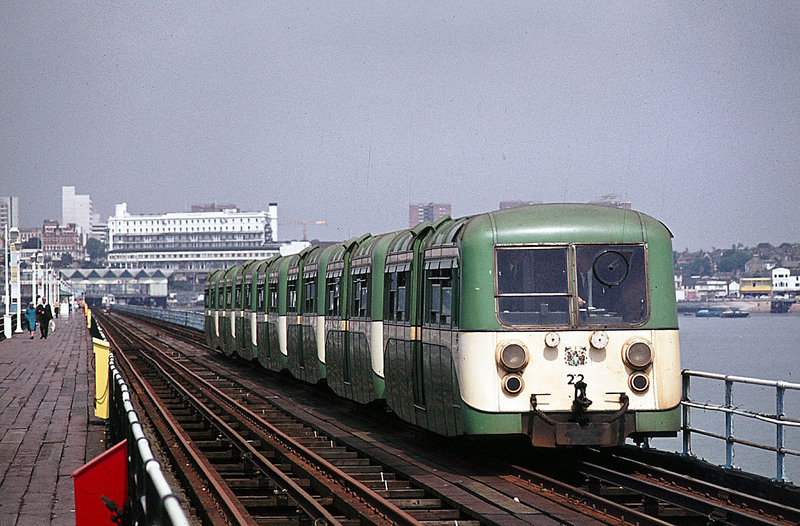 In October 1978, the pier railway (now single-track) had to be closed for safety reasons, while two years later the council proposed to close the entire pier. A rescue package involving heritage grants allowed the pier to reopen in 1986. The work included a new 3 foot gauge railway and two new diesel-powered trains. In 1989, a museum was opened near the shoreward end railway station. A new RNLI station and gift shop were built at the pier-head in 2000. 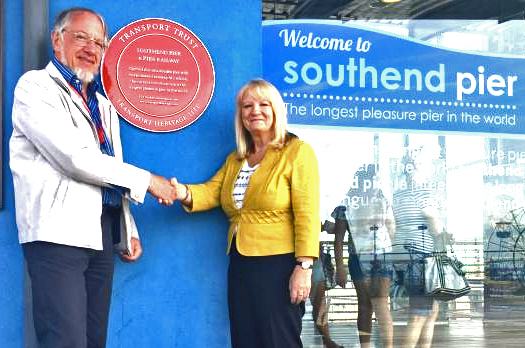 The Southend Cliff Lift re-opened in 2001 and in 2003 a new £1.9 million entrance building with full disabled access was completed. However fire struck again in October 2005 destroying the pier-head station and 130-foot section of the pier. The pier was voted National Piers Society Pier of the Year in 2007. A new building for the pier head, 'The Royal Pavilion', was constructed largely off-site and towed in to place from Tilbury in May 2011. 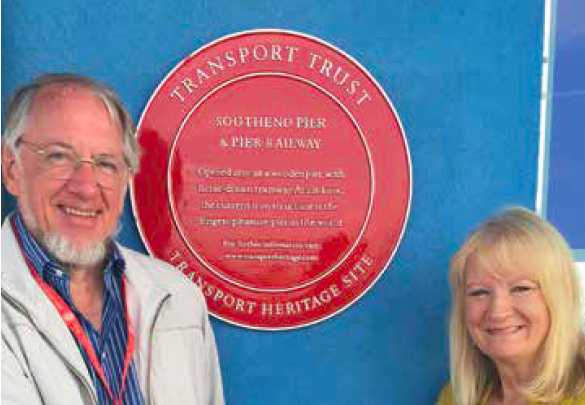 September 2012 saw the pier enter the Guinness Book of Records for being the longest pleasure pier railway in the world, while in July 2015 Southend Pier featured in a list of the top seven iconic seaside buildings compiled for Historic England. A full engineering survey in 2014 warned of serious problems with the pier. 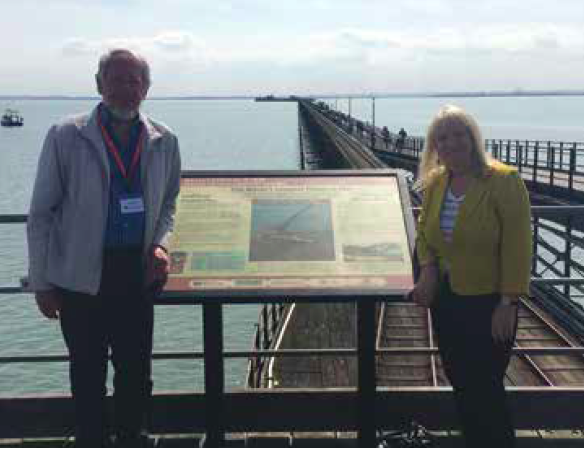 The report stated that although the pier was in most part in fair to good condition, unless significant investments were made, the railway might have to stop operating in two years time and in five years time the whole pier might need to be closed. In the event much of the 2016 summer season was lost as the pier closed for emergency repairs. 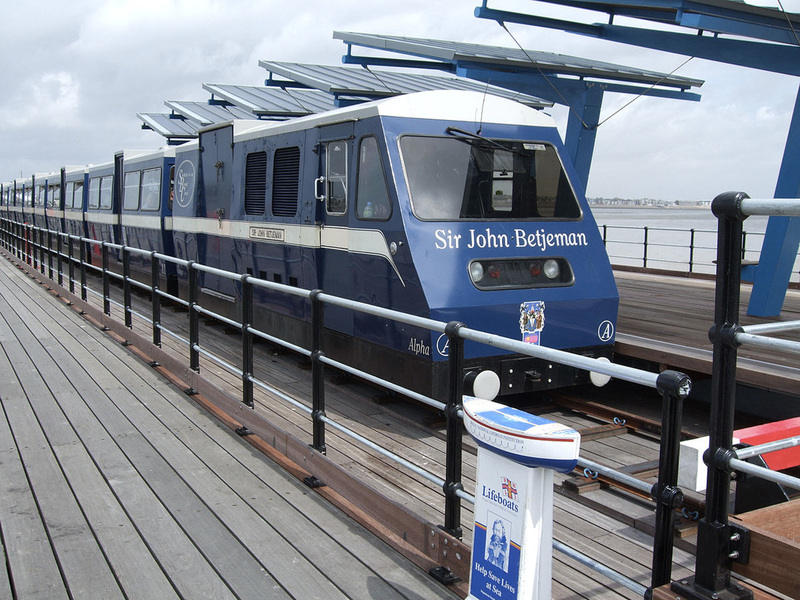 The pier train finally returned to action in October 2016. As well as the train and the promenade, the pier still fulfils its original role each September when PS Waverley calls several times during her Autumn cruising season. from A13, follow signs to Southend seafront. nearest station is Southend Central (c2c line from London Fenchurch Stret to Shoeburyness). Follow signs from station to seafront.